Richard de Pridias Lord of Prideaux, or Richard Prideaux witnessed a charter sometime between 1230 and 1240, by which Odo, son of Walter de Treverbyn granted certain lands to the Priory of Tywardreath. Treverbyn is a manor to the west of Luxulyan and Prideaux and these families would be joined in marriage at a later date. Richard had three sons, Baldwin, Reginald and Geoffrey. There were more records available in this great age than previously. So much was transcribed and so our story becomes clearer I think. So far there have been little records of wives, but I have found out who most of the wives are from here on. Humphrey Prideaux states that the grandson of Nicholas was called Baldwin and not Richard and that this Baldwin was the father of Geoffrey and Reginald [aka Reynolds] He says that Baldwin married Elizabeth, daughter of Roger Mortimer who died in 1215 and Isabella de Ferrers who died in 1252. 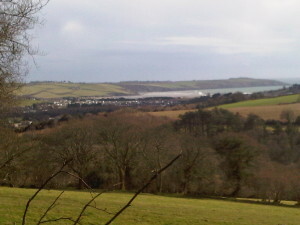 ‘A View of Devonshire’ states that he was called Richard as above and married the daughter of the first Earl of March. Roger Mortimer was the son of Hugh Mortimer, the founder of Wigmore Abbey. Their lines married into those of Llewellyn the Great, the Prince of Wales and were ancestors of Roger Mortimer who ruled England with Queen Isabella before his execution. Eventually the Mortimers were created Earls of March. Their line can be traced back hundreds of years through King John, the 4th Earl of Derby, Osborne de Bolbeke and the Duchess of Normandy who was the great grandmother of the Conqueror and the King of Connaught. Hugh Mortimer came over with William the Conqueror and was given his lands then. It may be that Richard was known as both Richard and Baldwin after his ancestors, which was a common practice. After studying the records available, I shall call this man Richard and his sons, Baldwin, Reginald and Geoffrey. First we shall follow the line of the eldest boy Baldwin, as it his family which eventually loses the Prideaux manor through the lack of a male line. After this Baldwin Prideaux there followed Thomas, Robert, Geoffrey, Roger and four Richards. Sadly, the last Richard and his wife Margery could only produce Jane and so she was married off to Philip Arvas. Their son Richard Arvas became Lord of Prideaux and married Joane Methrose, a local girl from another rich and landed family. Methrose lies hardly a mile away from Prideaux and became famous later on as the place where John Wesley stayed and preached during the times he travelled the county. Richard and Joane had a daughter called Johanna and she married Thomas Hearle and in that way, the property left the Prideaux family. Sir John Hearle, a Knight, was made warder of Johanna because her father Richard died before she came of age. It seems eminently sensible that he should have married her to one of his sons and have the house and lands of Prideaux come into the family. The Hearles eventually lost Prideaux in 1737 when the heir, Northmore Herle died unmarried at Oxford and the property went to his half sisters. ‘On the western side if the valley, under a prehistoric hillfort and commanding approach from the bay, is Prideaux. A wing of the earlier house of the Herles has been lately restored. From this came an important Puritan cleric, Charles Herle, Prolocutor of the Westminster Assembly of Divines during the Civil War, from which after much argy-bargy emerged the Presbyterian confession of faith, Predestination, Eternal Damnation and all. His mother was a Treffry, whose sister bore Hugh Peters, chaplain-general to Cromwell and a notorious play actor in the pulpit, for which he paid for his life as a regicide [which he was not]. He did better work in New England, one of the founders of Harvard College. The autobiographies of Mr. Rowse are well worth reading for the descriptive narrative of the whole of this area. I am very grateful to him for writing about his life and experiences, just so that I am able to picture the scenes from years ago. Reginald the second son, went into law and acted for Isabella of Orcharton, his sister in law. Law was now a lucrative proposition for an educated man and Reginald soon found great success away from Luxulyan. 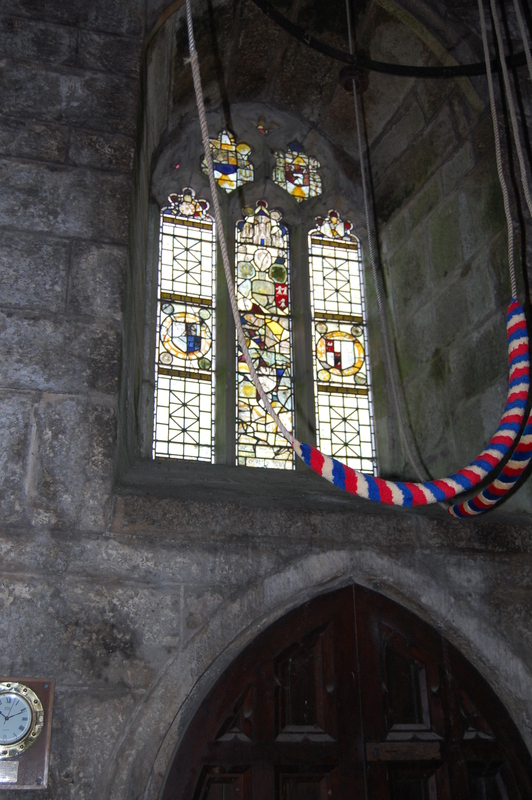 His son made a good life as a lawyer and ended up a Knight of Cornwall and possessed many properties in Truro. 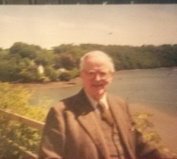 He served many times in military service and became influential in Cornwall.The Orcharton connection to the Prideauxs lasts for centuries as will be seen later on in the story. Reginald replied to a writ in 1302 with regard to some land ownership, stating that the Prideaux family had held certain lands since before the memory of man without interruption, confirming official acceptance of Prideaux family importance, prior to Domesday. After a few generations, his line also died out at the same time Prideaux Castle passed to Philip Arvas. It was not unusual in the following two hundred years for family lines to die out. Initially there was the problem with men failing to care for the land and produce food. This was followed by several bad harvests when the climate altered and as if all of this was not enough, there were terrible plagues. These events served to reduce the country’s population by half. Survival rates of sons of gentry were less than one per cent, so we have much to be grateful for the health and vitality of the third son Geoffrey and his children. I descend from Geoffrey and continue his story next. It would seem highly likely that every blood Prideaux descends from this Geoffrey line when the other legitimate lines died out as explained above. 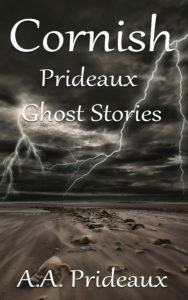 More can be learned about Richard in the story The Priestess in the book by A A Prideaux entitled Cornish Prideaux Ghost Stories.